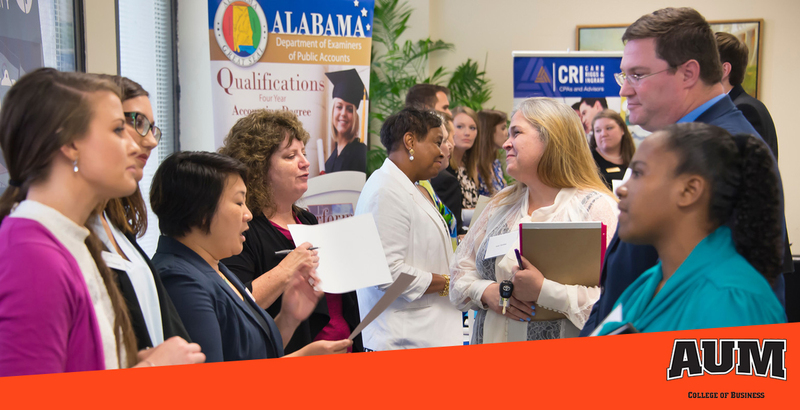 A degree from Auburn University at Montgomery will give you a number of career choices. When you graduate, you will be equipped to work in a variety of professional settings, including public accounting, for-profit entities, and/or government/non-profit agencies. The problem-solving skills and ethical awareness you’ll develop at AUM will prepare you to earn professional certifications and professional leadership roles.. AUM offers a Bachelor of Science in Business Administration with a specialization in Accounting and a master of Accountancy degree (MAcc). 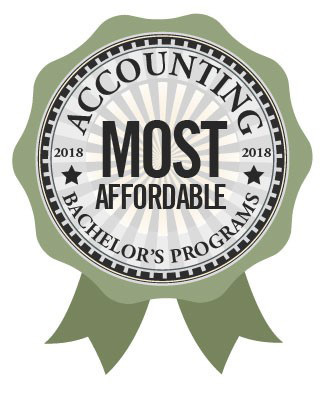 Auburn Montgomery's School of Accountancy is the only AACSB – International separately accredited accounting program in Montgomery and the River Region, putting AUM’s accounting program in the top 1% of accounting programs in the world. Graduates are employed by international, regional and local CPA firms, government agencies, industry and nonprofit organizations. Employment prospects for accountants are bright and salary expectations even better. Job growth for financial operations executives is expected to be about average, growing 8 percent in the next ten years. But the 2014 median annual wage for business and financial occupations of $64,790 was significantly higher than the median annual wage for all occupations. Kath Carter, CPA is the Global TAS Business Development Leader at Ernst and Young. Rodrick Shiver, CPA is a manager with Price Waterhouse Coopers, LLC. Mitch Stroud is Manager of Cost Accounting at Hyundai Motor Manufacturing. Kelly Butler is the Alabama State Budget Officer. The study of accounting theory as it applies to accounting practice and financial reporting according to generally accepted accounting principles. Continuation of ACCT 3110 with introduction of specialized accounting topics. Prerequisite ACCT 3110. Continuation of ACCT 3120 with introduction of specialized accounting topics. Prerequisite ACCT 3120. Introduction to accounting information systems with an emphasis on the understanding of transactions and relationships found in basic transaction cycles and the internal controls required by management. The study of cost behavior as it relates to cost accumulation, allocation and control procedures for manufacturing, service and governmental organizations, with an emphasis on job-order, process, activity and standard costing methods along with related budgeting and planning techniques. Income Tax Accounting (3). Pr. junior standing. Income taxation of individuals, sole proprietors, partnerships, corporations and fiduciaries with emphasis on role of taxation in the business decision-making process and use of tax software; introduction to partnerships, corporations and estate taxation. Principles and procedures of financial statements audits conducted in accordance with professional auditing standards; reviews and compilations; professional ethics and auditor independence. Accounting electives — 6 semester hours; grades below “C” in these electives are not acceptable for graduation.